The performance of complex cardiac procedures, such as advanced defibrillator placement, structural heart interventions, or arrhythmia ablation, is facilitated by the visualization of 3D anatomy. The performance of complex cardiac procedures, such as advanced defibrillator placement, structural heart interventions, or arrhythmia ablation, is facilitated by the visualization of 3D anatomy. 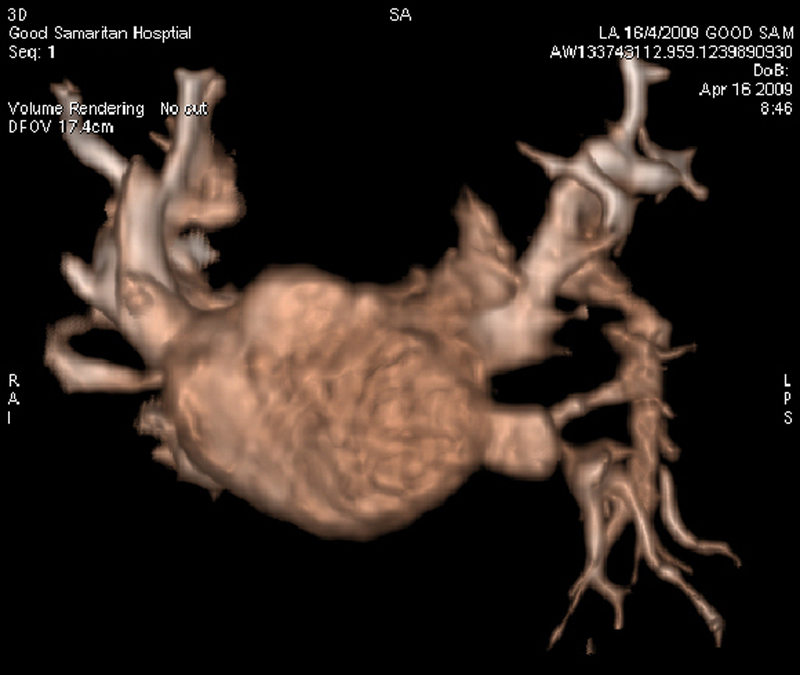 Providing 3D views of internal body structures and interventional devices in one image, this state-of-the-art system assists physicians in diagnosis, surgical planning, interventional procedures and treatment follow-up. It permits better management of structural heart disease, streamlines interventional procedures, and minimizes radiation dose to physicians, staff and patients by selecting working views without fluoroscopy. Patients can undergo 3D angiography of the coronary sinus to guide a biventricular defibrillator implantation with a left ventricular pacemaker lead. Patients can also undergo 3D angiography of the left atrium and pulmonary veins to plan an atrial fibrillation arrhythmia ablation.